Are you a vendor in the employment branding, recruitment marketing, or talent brand industry looking to make a unique and lasting impression on practitioners in the space? Then Talent Brand Summit may be just the event you've been looking for to network with decision makers and potential customers. Our sponsors are carefully selected to make sure they are most relevant to attendees and there is a limited amount of availability so reach out today. Talent Brand Summit is not your usual industry event which means that sponsoring isn't the normal experience either. So, no vendor booths where you stand around hoping people will come by. It's an immersive event rich with networking and shared experiences sponsored by you. We want all sponsors to add to the fun and experience of the event. Your contribution is not one as a necessary evil of product promotion, but one of being a central part of our community creating a unique experience for attendees that allow you and your brand to leave a lasting impression and build relationships with attendees in an organic and authentic way. Sharing all leads equally. There will be approximately 100-120 attendees with ideally hundreds more on the waiting list. 5 promotional discount codes (25%) to give to attendees of your choice, should they meet the guidelines for attendance (TA leaders, Employer Brand and Recruitment Marketing program owners). Face to face networking and relationship building in an engaging retreat setting with your ideal target clients/users. Brand visibility amongst program leaders and leading practitioners at some of the most well-known companies across multiple industries. No direct competition with other sponsors at the event. Sponsored Break: Sponsored “Connections” coffee break between round table sessions. Includes mention and branding in agenda, website and social media mentions. Lunch/Happy Hour Sponsorship: The quickest way to our attendees’ hearts is through their stomachs. With this package, sponsor a catered lunch of Texas cuisine or a happy hour during the event and network with our attendees in an intimate setting. Includes mention and branding in agenda, website and social media mentions. 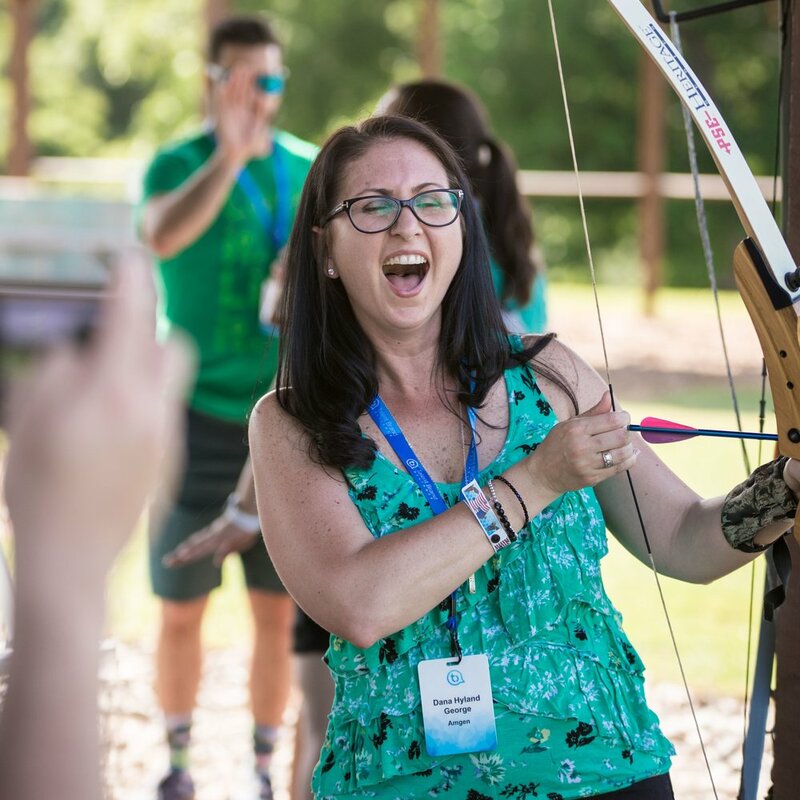 Sponsored Group Experience: Give attendees a unique and memorable experience to build relationships and forge bonds by sponsoring a shared activity for the whole group (Tomahawk & Archery sessions, field games, and more) Includes mention and branding in agenda, website and social media mentions. 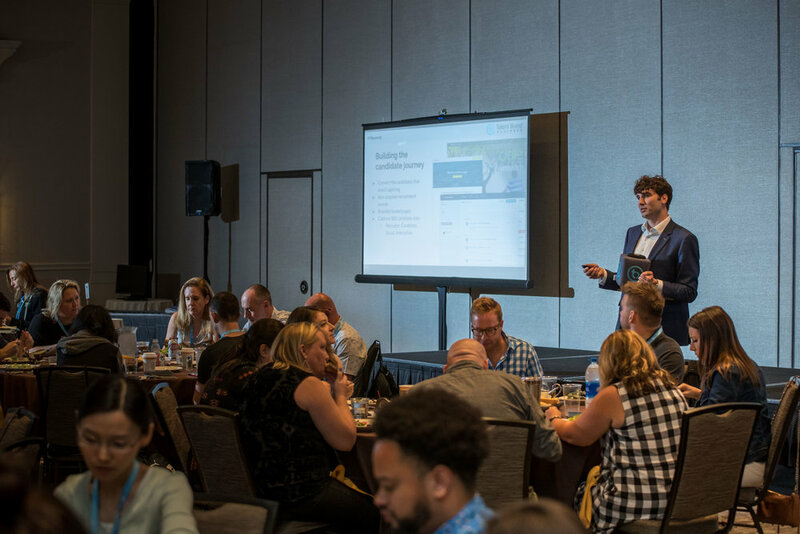 Dinner and Activity Sponsorship: Go the extra mile and provide attendees with an amazing dining and group experience activity at the end of day one or two of the event. Ex. Dinner followed by campfire and s’mores. Includes mention and branding in agenda, website and social media mentions. After-Party Sponsorship: This premium sponsor package means your brand will be hosting the most exciting activity of the event. Hosted at the amazing poolside bar with lazy river, the event will include amazing appetizers, live music, and an open bar. This will be a party to remember! Includes 10-minute talk at the start of the event, pre-event webinar/podcast appearance, email to all attendees, mention and branding in agenda, website and social media mentions. Interested in sponsoring the event? Sponsors get to add fun to the event by creating unique shared experiences for the attendees that leave a lasting impression. Email sponsorship@talentbrand.org for details.